What a serious screw* up on all levels. *insert your worst adjective here. None of this is OK, none. Christ i just read through all of that, what a horrible ordeal! Some of those things are simply incapable of being put right, by any means - which is why management’s duty of care is surely to ensure undue risks aren’t taken in the first place. However, I’m as much troubled, more so in fact by the lack of any statement from the management whatsoever. TripAdvisor is silent on responses - even simple acknowledgements, you can be fairly sure Hilton PR scan this and similar forums, Twitter etc. The utter silence says to me they are happy with what’s happened - that, is, disgraceful. Hilton should be ashame of themelves. wow, completely speechless after seeing the latest development. This is definitely 1 hotel I will never go. This is a classic case in reputation management. 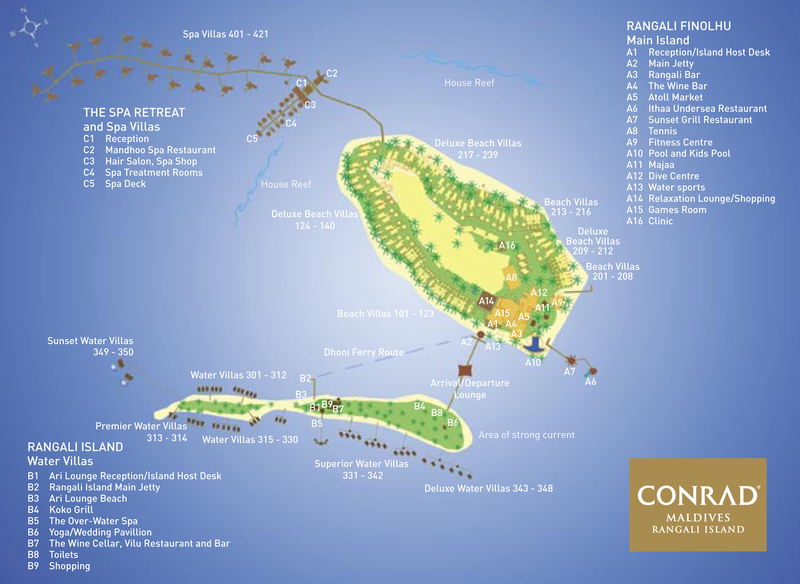 The actions (or lack of) taken over the next few days will seal the fate of the Rangali resort and the Conrad brand. The privacy of our guests is of the utmost importance to us and our management team has already reached out to the guest who has shared concerns regarding the cruise liner’s visit yesterday. The absence of the plural form is amusing. 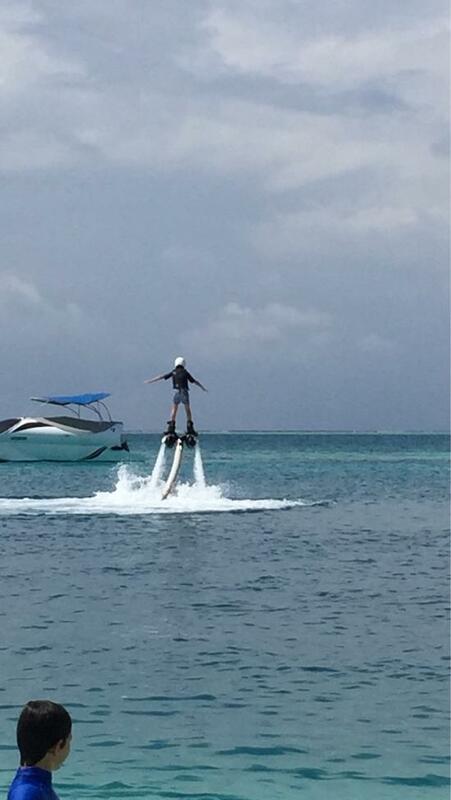 There are no plans to have any cruise liners visit Conrad Maldives in the near future. We can assure you there will be no cruise line during your stay in December or any other time during the year in 2019 and 2020. None at all for nigh on 2 years, eh? Hmm. Wonder if they are in the process of cancelling the other ones that have presumably booked for this and next year. Some of the cruise ship guests were given restricted access to the resort in order to dine at some of our restaurants and visit our spa. Jeez, they were in the spas as well. Holy moley. Wonder what they got up to in there. And yes, using the pool after closing time is certainly restricted access. I think that's called 'permitted restricted access'?! Another point worth mentioning; they have been very lucky and gotten away with no previous mentions of these invasions on TripAdvisor (yes, I read every single review there ). Very lucky indeed. They may be going to get their comeuppance. pineapple_09 and scwam like this. This is enough for me not to return. Reading these posts in conjunction with the dismal response from the resort in very disturbing. I can't imagine how upsetting it would have been to be there during this, paying their prices, and have had the vacation ruined. This can only be reflective of ownership and management that are not focused on the guest experience. Pressumedly some major news outlet, not just a travel blog, will get wind of this. Not sure how news worthy they will find this one instance. But it sounds like The World may have some explaining to do. And yes, using the pool after closing time is certainly restricted access. I think that's called 'permitted restricted access'?! Don't you know that this ('the guest') is the only way to accurately convey reverse collateral damage? We're lucky the entire resort wasn't liquidated. Please note the resident cruise liner was docked outside the lagoon of the resort on 14thFebruary 2019. Some of the cruise ship guests were given restricted access to the resort in order to dine at some of our restaurants and visit our spa. They arrived at 10:00am and departed shortly after dinner service at 10:00pm. We do highly appreciate you wish to come back and we will do our utmost for you and your family to enjoy your stay. Thank you again for taking the time to express your concerns. I have copied our General Manager, Mr. Stefano Ruzza, in this email as well for your perusal. I got the exact same canned response. Heading there in a few weeks for our honeymoon. Hope they really take all the backlash into account and start to get their act together. This is a response I could live with and think that maybe things aren’t going completely downhill from here. But this is not the case and I am certain that this is the end of this resort as we know it. For anyone planning a trip here I would really think carefully about all your other options before committing - things will only get worse. Luckily we had already cancelled 15 of our 21 nights over 2019/20 festive season and switched them to the WA. We plan to keep the 6 nights for now at CM, but if availability arises at the WA then we are likely to switch to WA for the full stay. Football Fan, ScubaRoo, pineapple_09 and 2 others like this. Some of the cruise ship guests were given restricted access to the resort in order to dine at some of our restaurants and visit our spas. They arrived at 10:00am and departed shortly after dinner service at 10:00pm. “Some of the cruise ships guests” makes it sound like a few people, the photos I saw of transport ships seemed to be pretty full; maybe we can chalk this up to poor English, but likely a lie. ”Some of our restaurant and spas....10am to 10pm” t This is the worst part of the statement and is definitely a lie. I love to eat and drink and go to spas, but might be hard for all the guests to fill 12 hours of their time at only these locations. Also, how would they restrict guest from using pool and beach areas? Given the fact there has been no previous feedback on TA, FT or any of the blogs, I'm inclined to think this was the first time a true cruise ship has been allowed ashore. I'd imagine if some billionaire on their yacht has asked to come for dinner in the past this has been granted (understandably), but I can't imagine this has happened on this scale in the past without any noise being made by guests.